Crime doesn't pay…but we do! Brant–Brantford Crime Stoppers program began in 1984 from the efforts of our City Commission and our Police Department. Our Program now operates as an independant organization. The concept has developed into a combination of efforts by local media, businesses, civic and social clubs, law enforcement agencies, and the public. 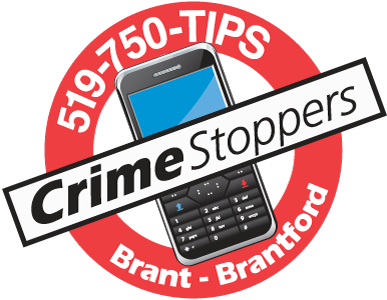 Donations of airtime, newspaper space, and reward monies have established Crime Stoppers as an effective tool to fight crime in the area. If you are interested in becoming a board member or an event volunteer for our Crime Stopper program please see the attached Board Member Package or Volunteer Package documents or call the Administration office (519) 756-0113, Ext. 2249.